Looking for small changes that make a big difference? Does this feeling seem insurmountable, like a mountain you just can’t (or don’t want to) climb? Sometimes when we feel like we have some big changes to make in our life, we are left to feel paralyzed. Paralyzed by the fear of this huge, ambiguous, intangible “thing” that doesn’t seem within reach. But, there is something we don’t often stop to think about. A big difference is made up of many small changes in our life. So, focus there and I guarantee you will start to see examples of how those small changes can add up over time. 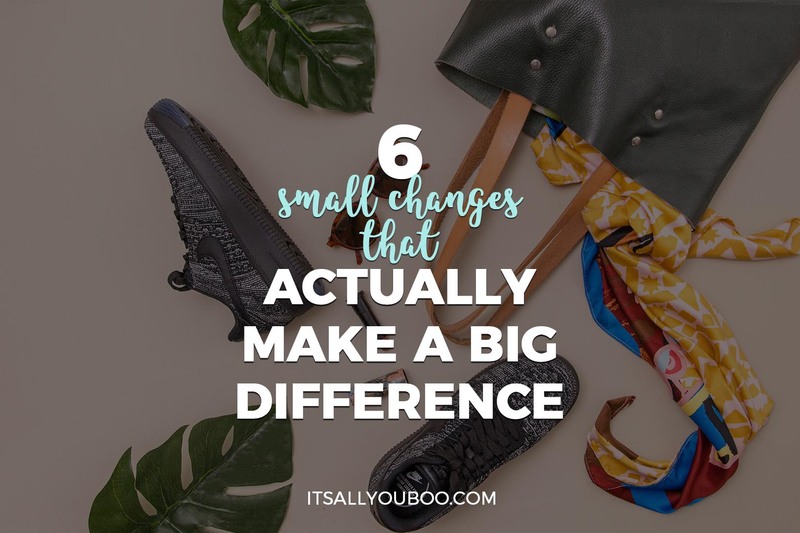 I come to you with six small changes that make a big difference. They might not seem like they would have a big impact on your life, but they truly can. These changes range from a little beauty to downright financials. Some of them may seem minor, but are they? Let’s be honest. What is the first thing you do when you wake up each morning? Is it pick up your phone and start surfing Facebook or Instagram, or your Twitter feed? In fact, when was the last time you sat down and were just still, not moving, just being? Truly quiet both in your environment and in your mind? I am sure if you are like most people it doesn’t happen unless you are intentional about it. According to Psychology Today, there are many benefits to spending time alone. It allows you to reboot your brain and helps you unwind. It also helps you improve concentration and productivity. So, there are REAL health and psychological benefits of having a little quiet time just, for, you every single day. I encourage you to keep a bullet journal on your nightstand. When you wake up, find your favorite place in your house, grab your favorite morning beverage (coffee is a MUST for me! ), and devote 15 minutes to yourself in quiet reflection. I encourage you to purchase a bullet journal and a cutesy pen to help you jot down anything that comes to mind. It could be some goals you have for your day, or what I love, is a gratitude journal. Spending time reflecting on all the things you are thankful for. Starting your day with a grateful heart is surely going to bring you a great reward. These 15 minutes a day may seem small, but this small change can make a big difference in your overall mindset. If you are anything like me, there is nothing that adds a little spring in your step like hearing your favorite song. For me, the song “Free Fallin’” by Tom Petty & The Heartbreakers is my absolute favorite and whenever it comes on the radio, I roll down my windows, crank the radio up, and sing as loud as I can until I am hoarse. So, pick a song that makes you feel like that! One that makes you just feel good. Brings a good vibe to your life. Make a commitment to listen to it every day. It could be on your way to work or sitting in the driveway before you head into daycare to get the kids. Or maybe it is during your lunch hour, while you are trying to get through yet another day in the office. Whenever works for you, commit to this small change and watch it make a big difference for your soul. You will feel good from your head to your toes! Now, you might be sitting there thinking, I don’t “do” lipstick. Or, how could wearing lipstick make a big difference? And I totally hear you. A lot of people don’t like lipstick. BUT, I am going to challenge you on this. Have you ever taken a picture of yourself 100% ready, except for lipstick or any type of tinted lip gloss? 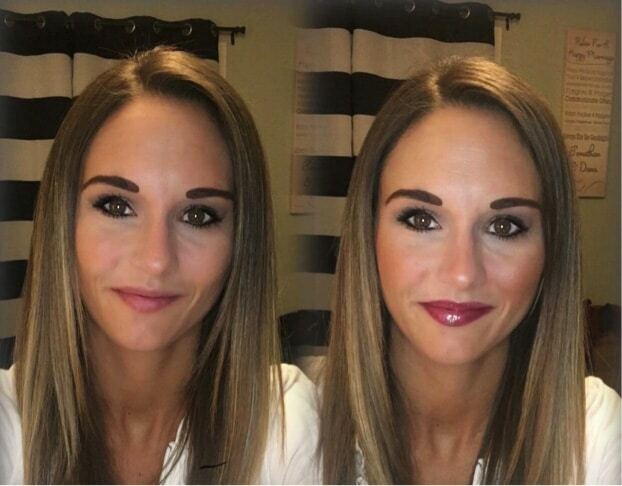 Then side-by-side taken a photo of yourself where the only difference is a little lip color? I bet not. The difference is tremendous. Wearing lipstick shows how a small change (like adding a little color to your lips) can make a big difference. For me, I feel more put together and ready to tackle the day. Plus, I don’t think my husband minds either! Regardless of how you feel about exercise, I think we’d all agree that some form of exercise is important. In fact, the Mayo Clinic outlines 7 health benefits of regular physical activity. The one I like the most is improved mood and a boost in energy. Who couldn’t use a little kick in the pants from time-to-time? We are all at different levels when it comes to exercise. And even though I would rather worry about fittin’ dis piece of pizza in my mouth vs. fitness, I know it is important. Whether you use at-home workouts, impromptu stair climbs at work, running on the treadmill, lifting weights at the gym, cross-fit… MOVE YOUR BODY! I don’t care if you are dancing in the kitchen while flipping pancakes or slow dancing with your baby in the kitchen (yep! I do that). Just move your damn body! It is good for you, your body, your booty and most importantly your mind! If you are looking for more tips to unlock your summer body, visit my blog. You can also download a list of 20 girl power workout songs that will get your booty moving. Have you heard the term inertia before? It simply means a tendency to do nothing or remain unchanged. Oftentimes when it comes to money, inertia can take over our lives. We may not understand how something works, or don’t know how to do something, therefore we don’t. This can be a very dangerous mindset, especially when it comes to saving for your future. One of the biggest reasons people don’t save is because they don’t think they have the money to do it. And really, if they were to look at their finances and create a budget, they would find pockets where they could spend less and save more. Click here a copy of the simple budget spreadsheet I use for my family’s budget. I hope this helps you get started. Use this to help you identify how much money you have coming in and weigh that against how much money you have going out. Then, determine where you need to make some shifts. Any surplus should be saved to your savings and/or for your retirement. Hopefully, you stop right there and go back and create your budget. You might still say you have no extra money, but I bet you can make some modifications to your budget to not order pizza every Friday night to save a little bit here and there. Life is all about choices. What is most important to you? One easy way to start saving is to save your salary increase each year. It is money you weren’t previously living off, so you won’t be missing it. Also, contributing automatically to your savings or retirement account makes it SO much easier to not feel like you are missing anything. Another thing you MUST do is take advantage of the Company Match in your employer-sponsored retirement plan. If you are saving for retirement through your employer, and they offer a match, you MUST contribute. Example Company XYZ will give you $1 for $1 up to 6% of your pay. This means that for every $1 you contribute they will give you for FREE, up to 6% of your pay! Say WHAT!?! Don’t leave that FREE money on the table. So ALWAYS contribute at least what the company is willing to match. I am sure like most families who own homes, you pay your mortgage payment monthly. But did you know that you can pay towards your mortgage twice a month and save money in the long run? I am sure you are thinking “Girl! I do not have enough money to pay my mortgage twice a month!” And that isn’t what I am suggesting. What I am suggesting is to consider paying your mortgage bi-weekly vs. monthly. This is basically taking what you pay monthly and splitting it in half and paying that amount every two weeks. Now you might be wondering, why would I do that? For a $300,000 mortgage loan, with a 3.5% annual interest rate, set to pay over 30 years, you would spend about $184,968 in interest ALONE. Now, if you take that same mortgage and interest rate and split it bi-weekly, you would spend about $157,246 on interest. This is a SAVINGS of over $27,000 over the 30-year life of the loan. Who wouldn’t want that extra change in their pocket? (Example calculated from Bank Rate). In this same example, following the bi-weekly payment schedule not only allows you to pay less in interest but also helps you pay down your mortgage 4 years faster! How awesome would that be to have a home paid for 4 years sooner than you expected!?! The one thing to keep in mind if you choose this method is to talk to the mortgage company you have your mortgage with. You want to make sure that the extra money you are paying goes towards the principal of the loan and not the interest. That way it can help you pay down that loan quicker. Start making small changes that make a big difference in your life today. 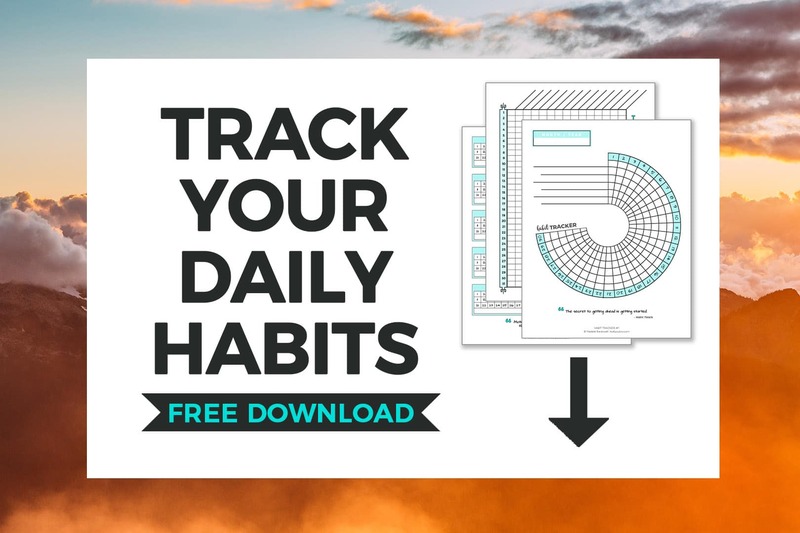 Sign up below to get your FREE printable habit tracker templates, with spreads for 30 and 31 days. So, there you have it! 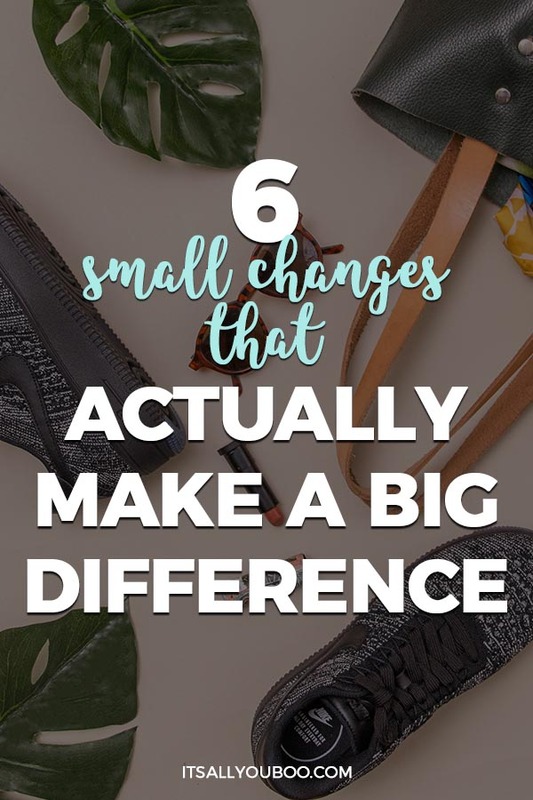 6 small changes that can make a big difference in your life. These range from beauty to body to finances. The key takeaway here is that you don’t get bogged down in the big massive goal ahead. But rather, you start taking very small baby steps toward achieving your dreams and goals. It doesn’t need to be all or nothing. 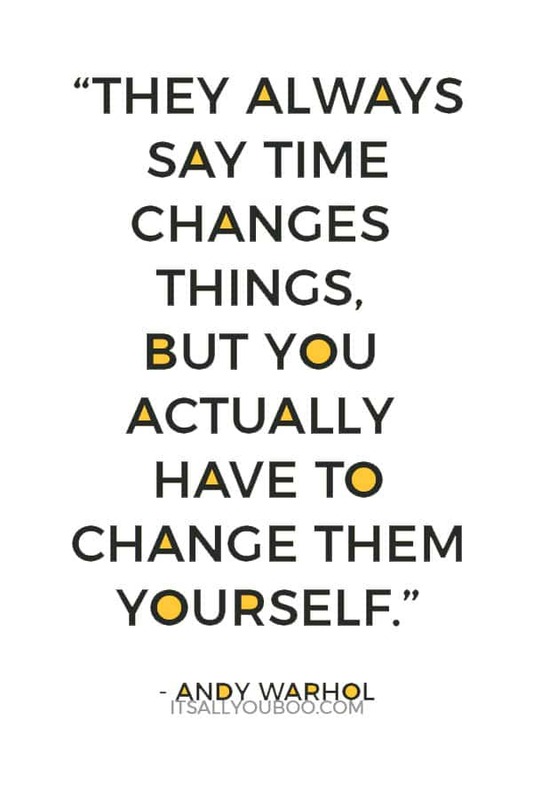 A small change today can make a big difference tomorrow. 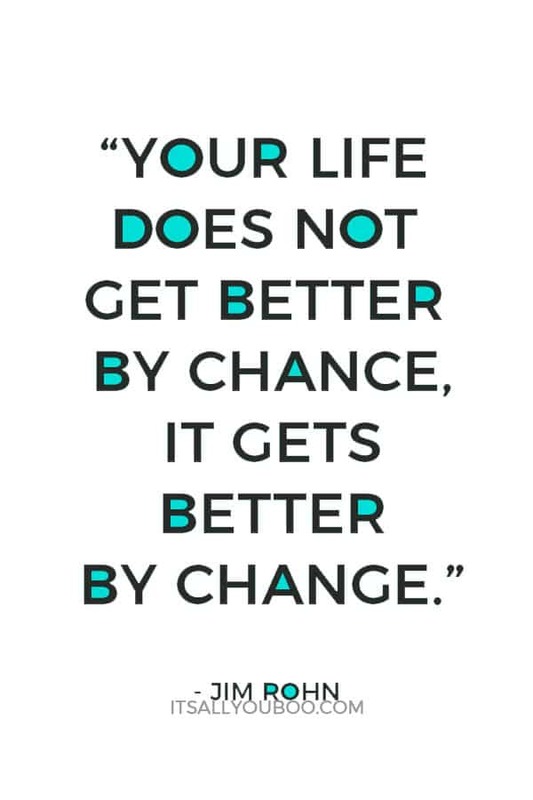 What small changes will make a big difference in your life? Dana Gaulke of Honestly, Dana is a 35-year-old momma to 4 kiddos. 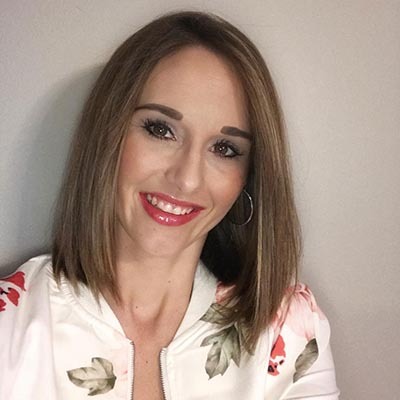 She is the voice behind Honestly, Dana which is a lifestyle and mom blog for women who are looking to invest in themselves, those around them, all while still being all things GLAM. The one about exercise is so true. Even when I really don’t feel like working out, I always feel way better physically and mentally afterward. Even dancing around the house or doing a quick yoga flow helps! Absolutely! I feel the same way and often find myself making excuses but so glad when I push those excuses aside! I love these tips! I started changing my attitude – it makes such a big difference! Waking up and staying positive throughout the day. Having “Me” time is definitely big on my list too. Me time is so crucial to your mental health. We often feel like it is being selfish, but when it comes to taking care of ourselves and our own well-being it is imperative. You are the longest relationship you will ever have with someone! This is an awesome post! I’ve been making small changes myself in how I eat and trying to do more exercises. I think I can do much more if I could redirect my attitude. I am a very positive person but, I do find myself falling in a slump at times. We all fall astray sometimes! The best thing we can do is be aware. Not everyone has self-awareness so for me, that is half the battle! These are great tips! I think I do pretty well at all of them but I am not a lipstick wearer! I do not know why I just never even consider that! It takes a lot of stress off me to know I am investing and paying things off faster! Maybe try a tinted gloss If you don’t like lipstick 🙂 It certainly isn’t for everyone but having a little color on your lips does make a BIG difference! Thank you, Char! I appreciate your comment and support! These are great tips and some of them I have recently added in to my daily routine. I used to feel selfish taking time for myself each day but realized that it helps me be a better wife and mother. Exercise is a wonderful change to make and changes a lot of other things too! In a very good way! I also love starting the day with me time! I agree take time for self to really enjoy that coffee! Music is a big part of my life so I also love that idea! All great ideas thank you for the empowerment! We all can use more of it! Doesn’t it feel so good to crank up your favorite song?!? Me- this includes windows rolled all the way down. These are indeed small steps that can make a giant difference. Especially taking out some time for oneself and incorporating some sort of exercise into the daily routine. Saving also is a very good and necessary habit. Even if it is a simple walk around the block. Walking the stairs at work. Lifting some weights while watching your favorite tv show. I have been wearing lipstick pretty much everyday for a year and a half. It totally makes me feel put together and ready for the day. Some people say putting on real clothes and shoes does it, but for me it is make up. Agreed!! I work from home a decent amount and think putting myself together for my hubby before he gets home is important. These are a great range of tips that will work for anyone. I have been getting up earlier in the mornings to enjoy some me time, it has been really nice. I even get some stuff done before my daughter wakes, it is so nice. Isn’t it great starting your day on a positive and productive note? I really like these tips! Do you know where I can purchase a bullet journal? Amazon has a bunch of them! Otherwise I love the official bullet journal! Remember, but yourself some FUN pens to go with it! Thanks for sharing! 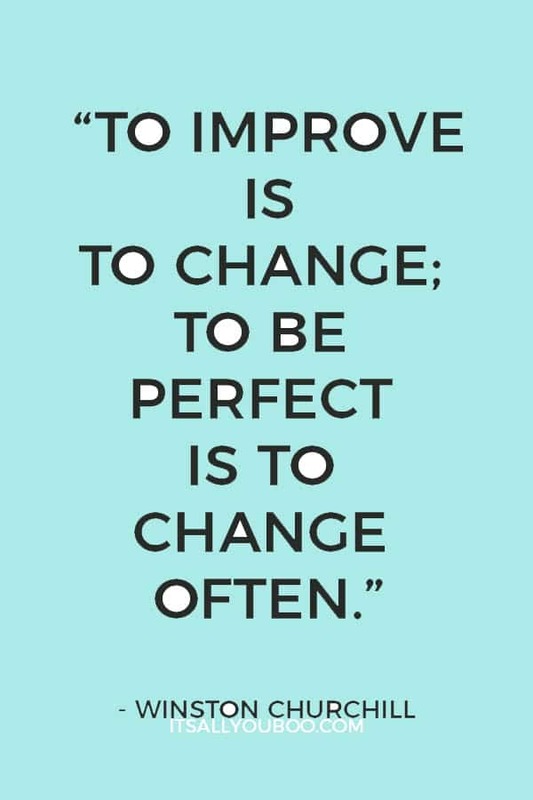 Yep, that’s right small changes lead big difference! I’ll try to do it every day! They certainly do! Thank you for the comment!! This is a great reminder for everyone to give yourself a little self care. Love this. Self care is the most important! I’ve already started incorporating a lot of these in my day to day life. I always start the mornings off with “me-time.” No phone, no talking, just me and my thoughts and meditation. It really helps me start my day a lot better. It certainly does! Even journaling a little helps. Or writing a positive affirmation for the day! Lipstick truly is!! I mean checkout how that one thing made me look so different in those pictures! Good tips. I like the alone time thing, I could really use some of that! These are great little things you can do each day. Making your life better doesn’t have to be some big insurmountable goal. You can do it a little each day. I definitely need to start having me time in the morning and stock up on some cute lip glosses. Thanks for sharing! Lip gloss to the rescue!!! I wish my girls would allow me some alone time in the morning just to be calm before the day starts, but I’ll take nap time calm! I was always so against lipstick, but in the last year I said what the heck and let me say when I wear it I feel so much more put together even if it is just lipstick and mascara! So many people still have mortgage payments when they retire, which puts a huge financial stress on them. Paying off your mortgage before retiring is a goal of mine and paying bi-weekly helps that! There are the famous tips which I used in my life. It’s really helpful for me. So glad that these tips have been helpful to you! Those are great tips. I am going to inquire about the bi-weekly mortgage payment today. Thanks for sharing. I always say it starts with you and with small changes, efforts and bring the best in you! Small things certainly can turn into big things! Great tips! I really hope to get that 15 minute me time into my routine. Yes! If 15 is too much. Start with 5! This post is perfect timing. I recently did a reboot and started spending me time in the morning as well as getting outside and being active. I can feel the difference after just a few weeks. And as far as retirement, it’s never too early to start saving! My grandfather always told me to pay myself first (10%) of my income. I never missed it and having that savings bailed us out many times. Retirement sometimes comes early so you need to be prepared! Absolutely! The paying yourself first is a great piece of advice! If you start right away you will never miss having the money. And if you didn’t start right away, it is never too late! Love the tips here to especially paying the mortgage bi-weekly instead of monthly. Wearing red lipstick also helps me feel good. Yes! Lipstick goes a long ways towards making you feel more put together. AND, I love RED! I love this!! I don’t have a mortgage but what great idea!! & I definitely feel fretted when I move each day that’s for sure!! First of all, I love your blog! The article is so helpful and I downloaded the habit tracker to start! I love it! Great tips! I agree, putting that lipstick on can be just the confidence booster you need to tackle everything the day throws at you. It is certainly all about mindset. If you feel good, the day just seems to go better! I just love your blog because every post has some kind of real-life aspect to it. I am one of those people who tip-toes through everything. EVERYTHING. And some of that is because I’m trying to make too many BIG changes at once, so I get overwhelmed. I truly think that old adage about “how to eat an elephant one small bite at a time” thing is definitely true. Small changes really do add up! Haha, thanks so much, that is honestly my goal. Big changes are hard to keep, without some serious consequences and accountability in place. I can barely exercise, but I can change my diet pretty drastically, but ONLY because of allergies. So when I have no choice, it’s easy. But often we have a choice. And that’s the problem, we’ll fight it at every chance we get. So glad you enjoyed the post. You sure can’t – although so many of us try to do so much when we’re running on empty. Thanks so much! I really do try to speak to where people are.